Now and then I like to try different plants to see what comes of them. 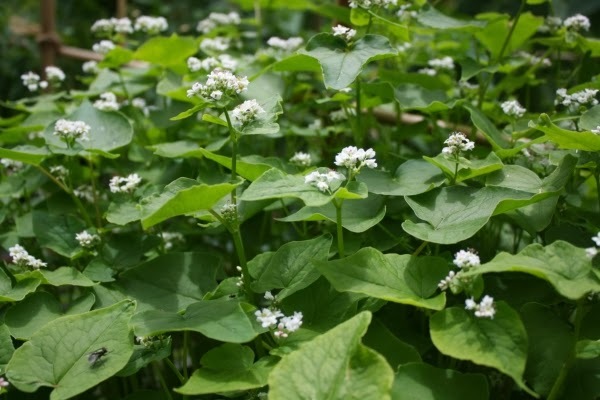 At the moment I have 3 containers and a small patch in the side garden that are home to lush little forests of buckwheat. Over the last few days with a bit of water and extra sun they have grown much taller and are really showing off their titanium white flowers. Likewise, the beans that have been setting flowers have lovely little crops of beans already appearing and growing so quickly. 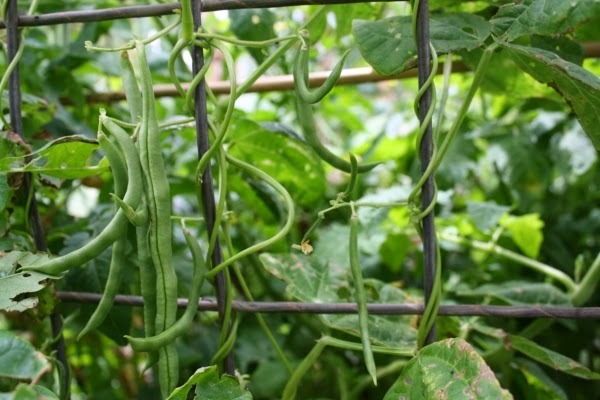 These are a white climbing bean, much like my Pop used to grow. The bottom photo is of the corner garden area where I left things go a little crazy. At this time of the year through to autumn it jumps into jungle-mode, often revealing some surprises in autumn once it starts to thin out a bit. 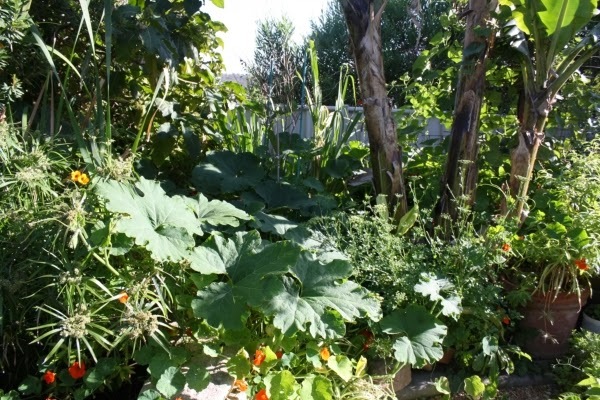 In this one area is a large chilacayote patch, a pumpkin, sugar cane, an avocado and tamarillo tree, a compost pile, worm farm, a choko vine and the bananas. 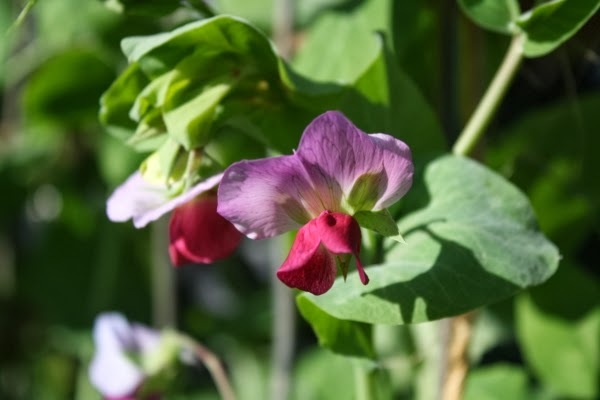 Purple-podded peas. This is the first year I have grown them and they are tall, strong and abundant with their colourful flowers and dark purple pods. 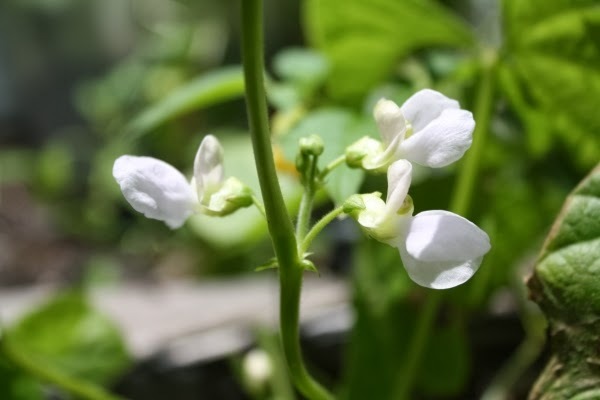 Below is the flower of the climbing bean variety shown above. In the last day or two I have noticed the zucchinis have begun to open their flowers and put on strong growth.